The old charm of Stone Town draws visitors through its winding narrow alleys, past crumbling Arabian architecture, colourful bazaars and spice markets. If you’re seeking idyllic beaches for your holiday then Zanzibar is the top of our island wish list, but the delightful capital shouldn’t be missed. Stone Town will add local culture, historical insight and Swahili flavours to your escape. At Turquoise we love the Park Hyatt which blends a contemporary elegant style inside a grand 17th century mansion. 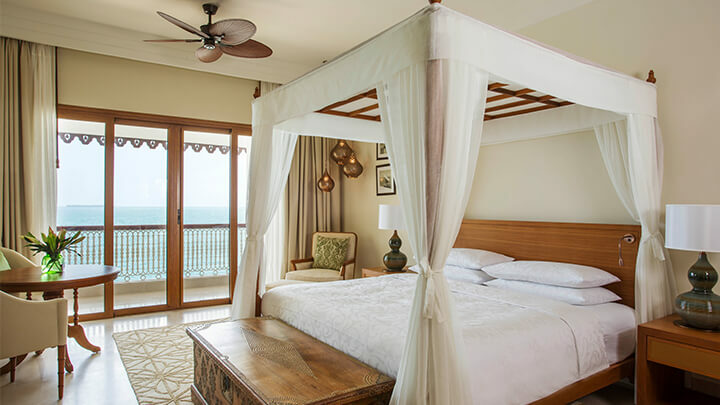 We really recommend choosing an Ocean View Room, so you can relax on your balcony and watch the traditional dhows sailing back and forth over the Indian Ocean between Zanzibar and mainland Africa -bliss! 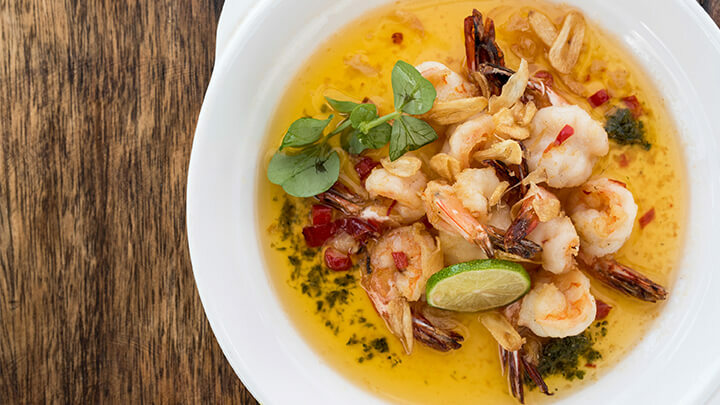 One of the best spots in Stone Town is ‘The Beach House’, located just down the beach from the Park Hyatt. Here you can enjoy pizzas, the catch of the day, sharing plates and hundreds of different kinds of Gin and Gin-based cocktails. Locals and travellers go for sunset, so it’s a great spot for people-watching. You’ll see kids playing football on the beach and fishermen pulling in their boats whilst the sun dips behind the horizon. Simply walking through the narrow streets of Stone Town will take you past shops with plenty of gifts and clothes to choose from. Small boutiques sell textiles and souvenirs, and look out for wood carvings, paintings, jewellery and antiques. The Cultural Arts Centre in Zanzibar is also a great place to visit. Here they offer practical workshops to support the community and environment and you can buy some lovely gifts here too. Create your very own delectable dishes at the Essque Zalu Mosha Cookery Studio. 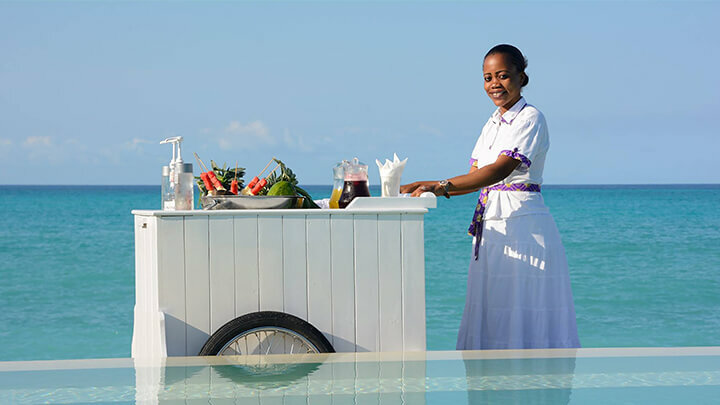 Tanzanian chef, Rose Mosha will guide you through making some of Zanzibar’s most traditional recipes whilst sharing family cooking secrets and insights into the local cuisine. You will spend the morning in Stone Town to buy all of the essential ingredients. Zanzibar is an island of spices, so immerse yourself in a market of exotic scents, flavours, and colours and take this all the way home with you! Get in touch today to start planning your trip to Zanzibar!